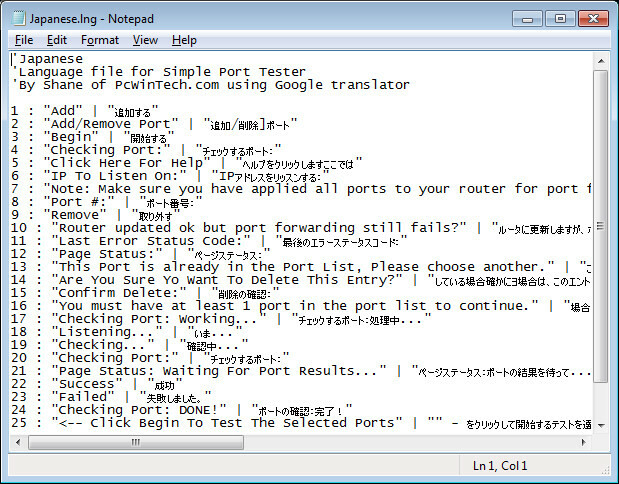 As of Simple Port Tester v2.1.0 the program now supports Unicode. Which means there is no language it can't support. So this means that the languages need some work! So if you would like to contribute and help out just let me know. 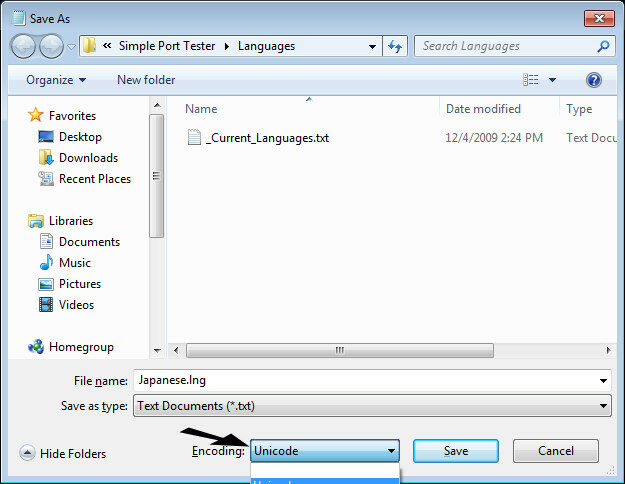 Changing the language files is very simple. Let me give you a quick how-to, and when you have a updated file just send it to me and I will get it added to the program. 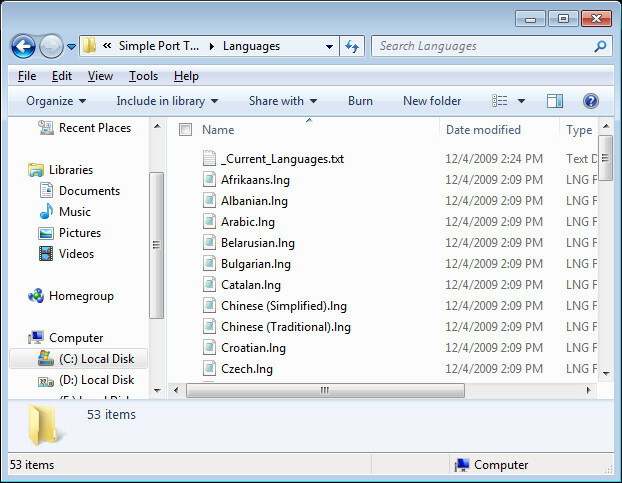 In the same directory as the program is a Languages folder. Inside here are all the files. Open the file you wish to edit with notepad. As you see on the left is the English and on the left is the translation. Just make the changes you need on the left leaving the English ones as they are. Feel free to change some of the translation to help make words fit. As long as the point of the words still get across that is fine. Once finished saved the file. That's it! Nice and simple, just how it should be. 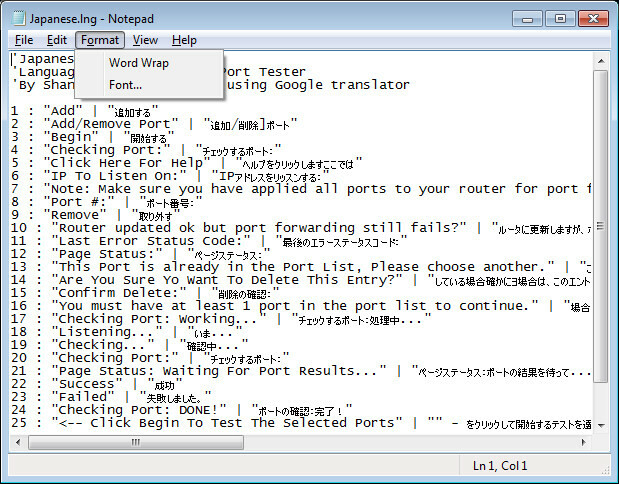 Once saved you can then open the Simple Port Tester and test your changes.